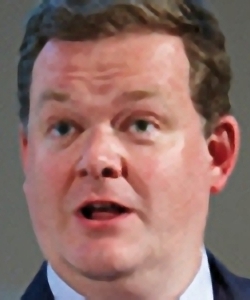 Colm O’Shea is the founder of COMAC Capital, a London-based global macro hedge fund. After graduating in Economics from Cambridge in 1992, he became an FX trader for Citigroup in the week when the pound was kicked out of the ERM (the Exchange Rate Mechanism, the precursor of the euro). This demonstrated to him the power of the markets compared to that of politicians and policy makers. Not surprisingly, he is pessimistic about the future of the euro. In 2003 he moved to George Soros’s Quantum fund, and in 2005 he founded COMAC. COMAC came to prominence when it generated 31% returns in 2008, when most funds lost money. By 2012 the fund was managing $4.5 bn. COMAC closed in 2015 at the age of ten, after losing 8% of its value in one day. The Swiss Franc surged 40% in January after the National Bank lifted its €1.20 cap. At the time COMAC was worth $1.2 bn, but O’Shea took the decision to return money to external investors and manage only his internal capital of around $150M. Recent returns had been poor – down 9% in 2012 and flat for 2013 and 2014 – and there had been a lot of redemption requests prior to the Swissi incident. Colm appears in the book Hedge Fund Wizards, the fourth in Jack Schwager’s series of trader interviews. His chapter is called “Knowing When It’s Raining”. O’Shea is a global macro trader, aiming to profit from anticipating trends in currency, interest rate, equity and commodity markets. His usual time horizon for trades is one to three months, and his portfolio will typically have 10 or 15 trades at one time. He doesn’t trade single equities, though he does trade equity indices. He uses stop losses, but relatively wide ones (he doesn’t say how wide). They are based on the underlying macro idea, rather than his pain threshold as they once were. He gets out of a trade when the price becomes inconsistent with his hypothesis. He does this so that he isn’t tempted to get back in because he still thinks that his original idea was right. Ironically for the manager of a fund that closed because of a single bad trade, O’Shea stresses the use of position sizes and exit prices to minimise losses on individual trades. The amount you are prepared to lose divide by the size of the stop is your position size. At the time of Schwager’s interview (end of 2011) O’Shea had never had a losing year. Over the seven years from 2005 to 2011 – which included the 2008-09 crash – he returned 11.3% annually. More importantly, these returns came with volatility of only 8.1%, a maximum monthly loss of 3.7% and a maximum drawdown of 10.2%. According to Schwager, these risk metrics are about half that of the average global macro manager. Schwager uses a return/risk measure he calls “Gain to Pain Ratio” or GPR. GPR is the sum of all monthly returns divided by the absolute value of the sum of all monthly losses. For example, if the average return per year is 12% (arithmetic, not compounded) and the GPR is 1, then the average amount of monthly losses per year would also sum to 12%. Schwager prefers GPR over the Sharpe ratio because it does not penalise upside volatility. A GPR above 1 is good, and higher than 1.5 is “excellent”. O’Shea scores 1.76 on this measure. GPR is similar to the “profit factor” used in evaluating trading systems. This is the sum of all profitable trades divided by the absolute value of the sum of all losing trades. Applied to monthly returns, the profit factor would equal GPR + 1 “and would provide the same performance ordering as the GPR”. This is macro. Later on the narrator becomes increasingly fundamental, talking about demand and supply. To O’Shea, price movements only have meaning in the context of the fundamental landscape. “The wind matters, but the tide matters, too”. O’Shea dislikes the fact that economics has become dominated by mathematical modelling. The assumptions needed to get a solution take over. For example, without assuming efficient markets, you can’t do the math. But markets aren’t efficient. His favourite economist is Keynes, whose reputation is tainted in the US because all deficit spending – regardless of whether it occurs in a recession or under growth – is described as Keynesian. O’Shea says that the genius of Soros was his timing – knowing when to put on the “obvious” trade. O’Shea won’t take a position until he can see the trend. You couldn’t be short Nasdaq in 1999 just because everything was overpriced. You want to be selling Nasdaq at 4,000, but only after it has gone to 5,000. Sell on the way down. O’Shea says that while you are waiting for the market to turn, you just need to make decent returns and be patient. He is happy to be part of the bubble, but only in very liquid positions that can be closed quickly if required. He often uses call options for this purpose, since you can only lose your premium. He also looks for ways to implement trades that have limited downside if he is wrong about the macro call. During the 2008 crisis he used option straddles and strangles to “buy” FX volatility. He also bought short-term bonds and shorted long-term bonds, expecting the flat yield curve to steepen. In addition he bought credit default swaps, expecting the yield on corporate bonds to increase more than that on Treasuries. O’Shea believes that 90% of macro investing is implementation and flexibility. You also need to be able to recognise when one of your ideas turns out to be wrong. He says that Soros has the least regret of anyone he has met – he has no emotional attachment to his trades. O’Shea has some strong views on gold: it can be any price. It’s worth exactly what people think it’s worth, because annual supply is 100 times greater than annual demand to make jewellery. There are no other commodities like this. So the price is driven by psychology, and those fundamentals that drive psychology (inflation, the dollar). O’Shea doesn’t believe in trading rules. He thinks that successful traders adapt. If they say they follow rules, and then you talk to them 10 years later, they will have broken all their rules. Perseverance and emotional resilience are critical. O’Shea uses the controversial Value at Risk (VAR) as a risk measure. VAR is an amount of loss within a specified time period to a given level of confidence (usually 95% or 99%). VAR is calculated using historic volatility and correlations, and therefore assumes that the future will be like the past. O’Shea says that VAR is fine if you understand that it is historic. When he expects future volatility to be higher, he lowers his VAR. Fundamentals are not about forecasting the weather for tomorrow, but rather noticing that it is raining today. I am not particularly original. If you read the Financial Times, it’s all there. I believe in compounding and not losing money. Implementation is more important than the trade idea behind it. Having a beautiful idea doesn’t get you very far if you don’t do it the right way. What is important to the market is not whether growth is good or bad, but whether it is getting better or worse. The main thing about bubbles is that you need to be early. I have an aversion to things that make no sense, and I should get over that. Trading is a skill that can’t be taught, but it can be learned. O’Shea appears at first sight to be a simple trend follower, though he uses more sophisticated instruments (compound options) than the typical DIY investor. In fact he makes the distinction that he needs for there to be logical fundamental reason for the price movements that are happening. (Although he also says that he will trade the price action when the fundamental reason is not apparent, which is contradictory). He says he is trying to anticipate future trends and although he will be in the same trends as the trend follower, his timing will be different. This is somewhat at odds with his idea that you need to trade the bubble up. So I’m not clear if he wants us to wait until the trend has appeared, or open positions before the trend has appeared. 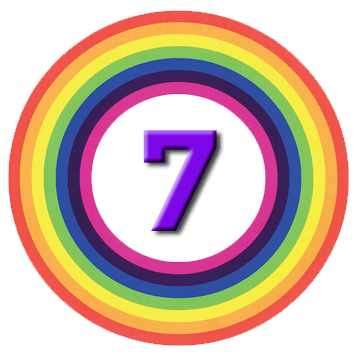 Previous story Moving into Pension Drawdown – Happy Birthday to Me!